Geneva, Switzerland, 23 October 2018 – As MSC Cruises, prepares to welcome guests on board MSC Magnifica for the Company’s first World Cruise on January 5th , the Swiss-based world’s largest, privately-owned cruise line reveals some of the highlights that guests can book in advance. One glance at the inspiring list of destinations explains why this itinerary sold out in such a short time. The 119-day cruise around the world on board MSC Magnifica will visit 32 different countries and is a rich adventure that guests can customise according to their own preferences, so whether you are a thrill-seeker, an adventurer or a culture-lover looking to take in all of the historic sights, there is something for everyone. The World Cruise 2019 offers a unique opportunity for cruise guests to circumnavigate the globe without ever having to repack their suitcase or change hotel rooms and with extended stays in port, at an average of 13 hours; guests can really immerse themselves in each and every destination. 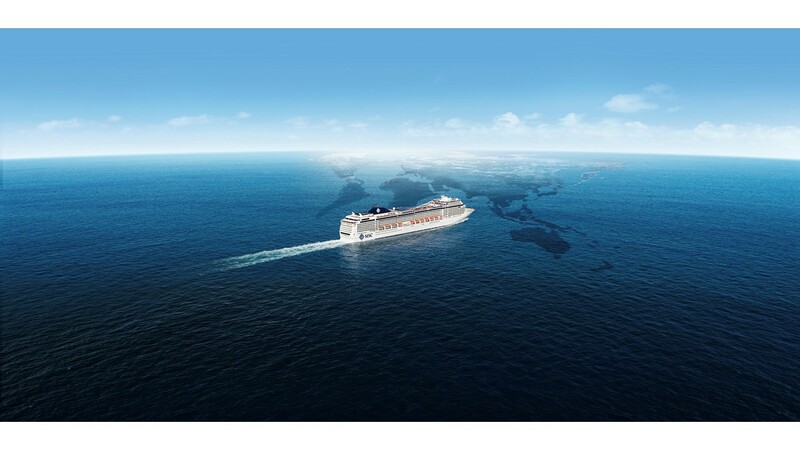 As part of their ticket, MSC Cruises guests will benefit from 15 selected shore excursions, including sites like the Golden Gate Bridge and Panoramic Sightseeing in Colombia. For those who wish to get even more out of their cruise, the MSC Cruises shore excursions experts have developed an incredible selection of overland excursions. These exclusive, longer excursions allow guests to spend more time in their destinations of choice and then join the ship again after a few days of adventure ashore. Some destinations are worth the detour and for a visually magnificent journey, few places can compare to Bora Bora, which has been dubbed the “Pearl of the Pacific”. MSC Cruises’ guests can opt to enjoy a luxurious two-night stay in the famed overwater bungalows, surrounded by the silhouette of Mount Otemanu. This breath-taking location will immerse guests in the sights and tastes of Polynesia, all while providing a relaxing and fascinating alternative to staying on board. Along with accommodation, this excursion also provides mouth-watering Tahitian meals, an exclusive spa treatment, an exciting shark and ray watching trip and lagoon tour, as well as many opportunities to sunbathe on pristine beaches. Fans of adventure may prefer to join the “Werribee Slumber Safari” which takes guests on an overnight journey into Australia’s Werribee Open Range Zoo. This unique wildlife park’s African-style savannah is home to incredible flora and fauna, where rhinoceros, giraffes, zebras and antelopes roam freely. Guests will follow their expert guides, as they encounter endangered species close-up, join a luxury camping experience and spend the night overlooking the Werribee River. The bright colours and strong spices of India have enticed travellers for generations, in no small part thanks to the legendary Taj Mahal. Stopping of in Colombo, Sri Lanka, MSC guests can choose to travel north to land-locked New Delhi and on to Agra, for a guided tour of the famous palace, a UNESCO World Heritage Site. The trip also includes a stay in a luxury hotel, supplemented with the best cuisine India has to offer. The stay in New Delhi also allows guests to immerse themselves in local culture, both through local folk dances and through the bustling atmosphere of the city. History buffs and adventure seekers alike may opt for the “Overland to Aqaba via Jordan,” when the ship docks in Muscat, Oman. A hotspot for World Heritage sites and serene desert landscapes, this 6-day journey through Jordan begins in the ancient and impeccably preserved Roman city of Jerash, travelling through to the modern capital of Amman, highlighting the contrasts present in the country. Guests will then be offered the opportunity to visit multiple locations of religious significance, offering a unique glimpse back in time, as they visit Madaba, the “City of Mosaics,” Mount Nebo and the River Jordan. It wouldn’t be a trip to Jordan without visiting Petra and guests will spend a day in the pink-hued necropolis, before making their way to the deserts of Wadi Rum and finally camping beneath the stars, rejoining the ship after a heart-stopping 4WD drive. World Cruise guests are encouraged to book their MSC Overland Experiences as soon as possible, as space is limited and visa restrictions may apply. For bookings or more information, guests may contact their travel agent, MSC Cruises contact center or visit [enter country specific version of - https://www.msccruises.com/en-gl/Manage-Your-Booking/Excursions.aspx]. 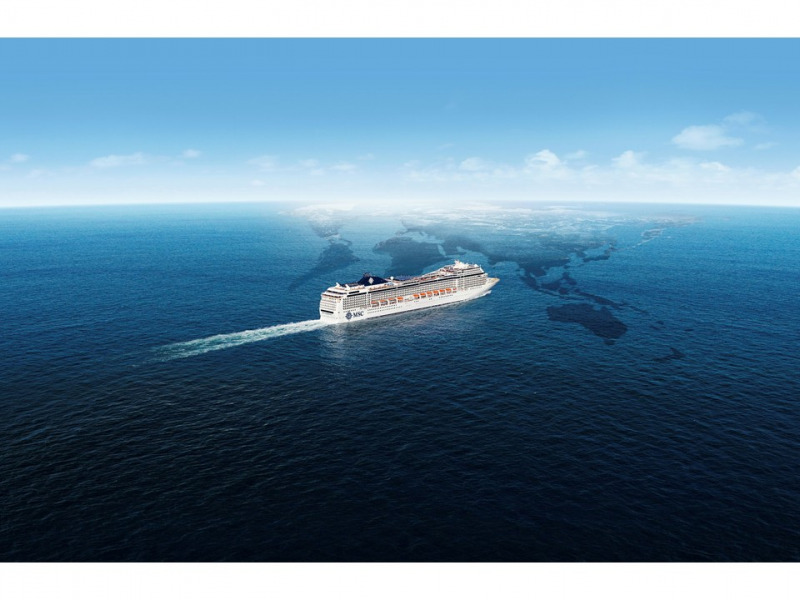 For those who wish to discover the world by sea, there are still cabins available on the 2020 World Cruise departing January 5th 2020 and sales will open soon for 2021. For more information, visit here. MSC Magnifica will enable guests to travel in real comfort and style. Built in 2009, the ship boasts masterful design and relaxed refinement, with all of the features that distinguish any MSC Cruises ship, including one of the highest ratios of balcony cabins, high quality service, fresh and authentic dining options including four restaurants and 11 bars, modern and comfortable cabins as well as a wide range of entertainment and leisure activities. From the gourmet restaurants serving cuisine prepared with fresh ingredients and authentic inspiration from around the world to the wide variety of world class entertainment offerings including a full-scale casino, panoramic discotheque, cigar lounge, 4D cinema and much more – guests will feel the attention to detail in service and design that is a trademark for MSC Cruises. Please note: Overland tours consist of roundtrip transportation, Room/Tax/Resort Fees, as well as tickets to the various parks and shows included in the excursion ticket. There are a limited number of guides in languages other than English and some tours are exclusively available in English. Guests are required to take their passport with them at all times.